Below is a step by step guide to entering and tagging your items. 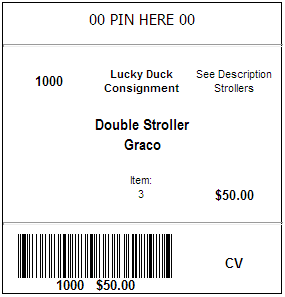 Go to luckyduckconsignment.com, click on “Register Now”, and input your information. 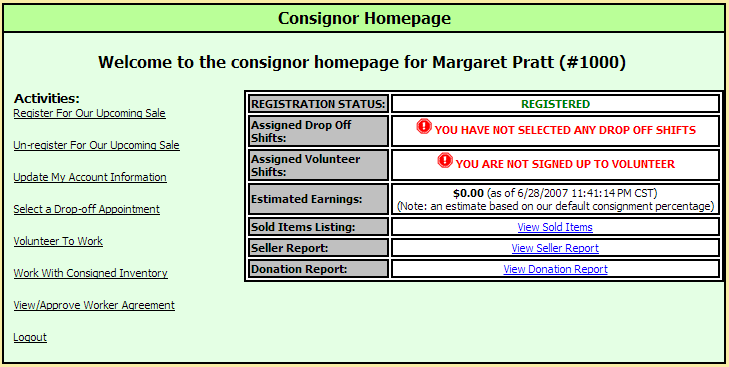 Then click on “Work With My Consigned Items (Active Inventory)”. You’ll be taken to the screen shown below. Price: Choose your price. It must be at least 1.00 and can only be in 0.50 increments. 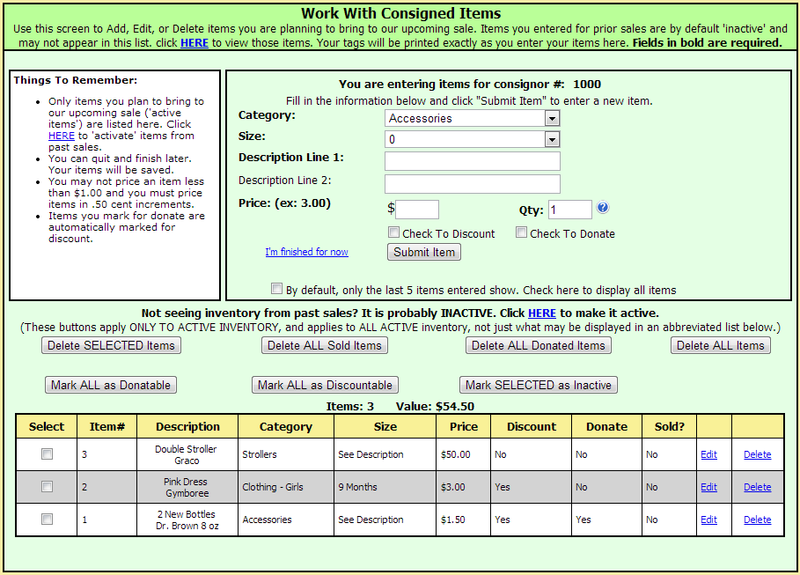 Check to Donate: Check this box if you want your item donated if it is not sold by the end of the sale. 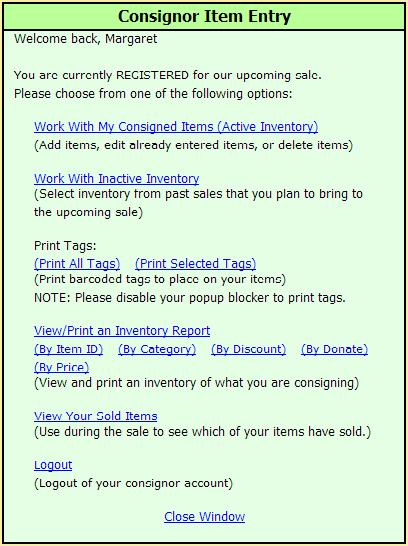 If you do not check this box, you must pick up your unsold items after the end of the sale. Click the “Submit Item” button after each item is entered. When you are finished entering items, click on the “I’m finished for now” link. You may return later to enter more items following the same steps. 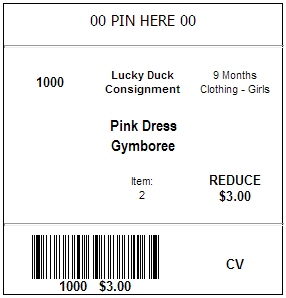 Your tags will be printed at up to 6 per page. Below are examples of what your tags will look like. Use a safety pin to attach the barcoded tag to each item. If you cannot safety pin the tag, attach the label securely to the item with packing tape. Be sure the tag is prominently displayed on the item. 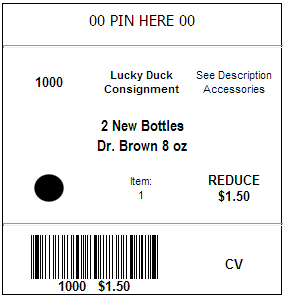 On the luckyduckconsignment.com website, click on “Schedule a Drop-Off Time” and select from one of the drop off times available. Bring your items during that time.